This is the second in a three part series of articles attempting to demystify business succession planning and its implementation. The first article provided a high-level overview of the succession planning process. This second article will outline some foundational aspects of succession planning, including information about the "basic" estate plan documents and other considerations. The third article will provide an overview of buy-sell arrangements. Early in the succession planning process, "downside planning" is typically performed to protect against the untimely death or disability of the business owner, prior to implementation of a comprehensive succession plan. This planning typically consists of a basic estate plan and insurance planning, which together form a foundation upon which the other planning rests. In other words, estate planning and succession planning function in a mutually beneficial and interrelated manner for the business owner by contributing to the achievement of the business owner’s frequent overlapping twin aims: (i) ensuring the continuation of his or her business, and (ii) providing for family members (or other favored parties/charities) upon the business owner’s death. The basic estate planning process involves three primary components: (i) the estate planning documents themselves; (ii) the coordination of proper asset titling; and (iii) the implementation of appropriate beneficiary designations. 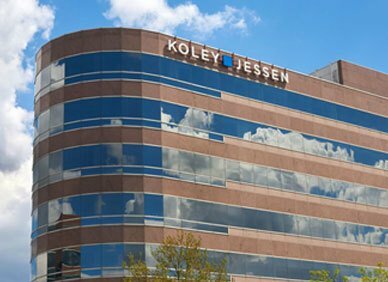 At Koley Jessen, we typically use four documents as part of the basic estate plan: (i) a Last Will and Testament; (ii) a Trust Agreement; (iii) a Durable Power of Attorney; and (iv) an Advance Directive. All of these documents can be amended or revoked at anytime during life while not incapacitated. Each document is described in more detail below. Last Will and Testament. The Last Will and Testament is a document that controls the disposition of the "probate estate," which includes all assets owned in the decedent’s individual name (i.e., as opposed to jointly with rights of survivorship) that are not subject to a beneficiary designation or a "pay on death" or "transfer on death" designation (i.e., a "POD" or "TOD" designation). In the majority of cases, the Will we prepare for clients provides that all assets of the probate estate simply "pour over" into the revocable Trust discussed below. In addition to disposing of the probate assets, the Will also allows for appointment of (i) a personal representative to handle the probate proceeding, if there is one, and (ii) guardians/conservators for any minor children. Trust Agreement. The Trust Agreement is a document that establishes a revocable or "living" trust. A trust is a separate legal entity that is used to hold, manage, and distribute assets for the benefit of specified persons. A trust is an effective tool for the long-term management of assets in the event of incapacity, and provides a means to avoid probate by titling all individually-owned assets into the trust during life. The trust serves as the primary means of disposing of assets following death and of identifying the beneficiaries and the manner in which they are to receive the assets (e.g., outright or in continuing trust managed for their benefit). Durable Power of Attorney. The Durable Power of Attorney is a document by which an "agent" is appointed to manage financial and property affairs of the principal (i.e., the person signing the Durable Power of Attorney). The Durable Power of Attorney typically provides that the agent’s authority to act only becomes effective if and when the principal becomes incapacitated. Because a trust is a more effective asset management tool during long term incapacity, the Durable Power of Attorney serves to "bridge the gap" by allowing the agent to transfer ownership of all individually owned assets to the trust in the event of the principal’s incapacity. The transfer of assets to the trust by the agent will not only facilitate management of the assets for the principal’s benefit during incapacity, but will also accomplish a probate avoidance objective. Advance Directive. The Advance Directive is a combination of two separate but related documents – a living will and a health care power of attorney. The living will portion of the Advance Directive allows a person to express her intentions as to whether to with hold or withdraw "life-sustaining treatment" in the event she (i) lapses into a persistent vegetative state with no reasonable hope of recovery, or (ii) is diagnosed with a terminal condition that, without the administration of life-sustaining treatment, will quickly result in death. The health care power of attorney portion of the Advance Directive allows the person to appoint another individual as her "agent" to make health care decisions on her behalf (excluding end of life decisions) in the event she becomes unable to do so. For business owners, the basic estate planning documents commonly include provisions providing for the continued management of the business in the event of the incapacity or death of the owner. These provisions, which should be included in the Durable Power of Attorney, Trust Agreement and Will, typically involve the appointment of one or more individuals to serve as the "business management committee" to handle decisions related to the business. By appointing trusted family, friends, key employees, or advisors who are familiar with the business to serve on this committee, the owner can ensure that the business continues to operate in an orderly, directed, and skillful fashion following the unexpected incapacity or death of the owner. Moreover, if done properly, the committee will be able to implement the next steps for the business, whether it be continued operation, sale, or an orderly wind-down. As alluded to above, titling of assets and beneficiary designations play a key role in the overall estate plan and can actually "trump" a person’s estate planning documents. This is because assets passing by titling arrangement (e.g., assets titled as "joint tenants with rights of survivorship") pass outright to the surviving tenant by operation of law, or beneficiary designation (e.g., life insurance or retirement accounts pass to the designated beneficiary) will pass to the designated owner or beneficiary regardless of what the estate planning documents say. Thus, it is a critical component of estate planning to coordinate how assets are titled and beneficiary designations are made. Liquidity in the event of the unanticipated death or incapacity of the owner should also be considered. The concern is that one of these events will occur and the deceased or incapacitated owner’s assets will consist entirely of the ownership interests in the particular entity. Such interests may be of significant value, but may be very illiquid, and unavailable to help pay medical bills, taxes, etc. The business owner can hedge against such liquidity risk by obtaining one or more life insurance policies to provide for liquidity in the event of the owner’s untimely death, and disability insurance to help address in liquidity concerns during a period of disability or incapacity. Important issues to be addressed in the basic estate planning discussion include identifying fiduciaries, the distributive scheme of the estate plan, coordination of asset titling and beneficiary designations, and providing liquidity in the event of the unanticipated death or disability of the business owner. Please contact a member of our Estate and Business Succession Planning Practice Group for more information.